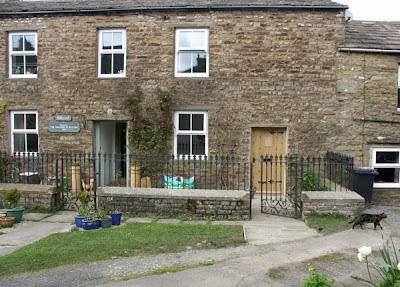 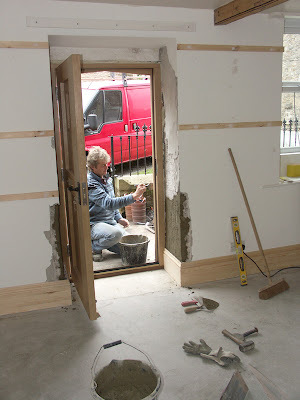 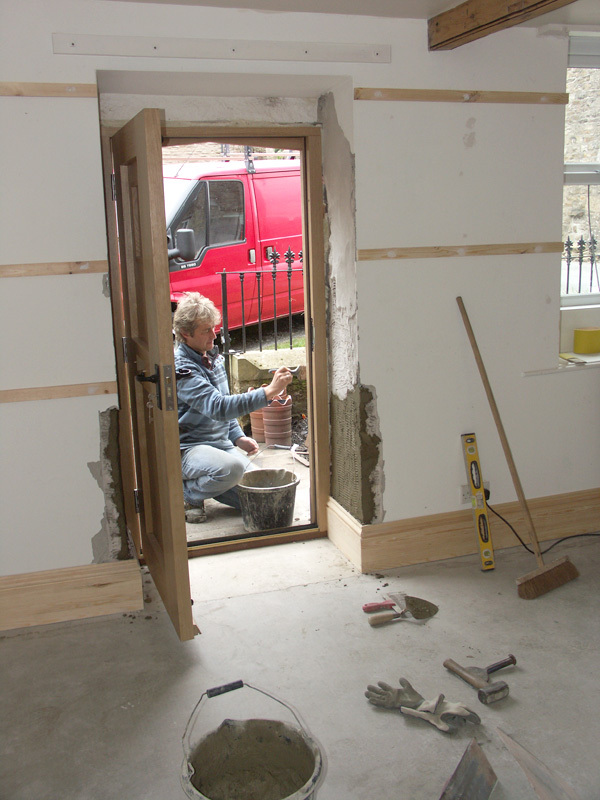 The new door on the right will lead via the wheelchair accessible path to the new studio and gallery. 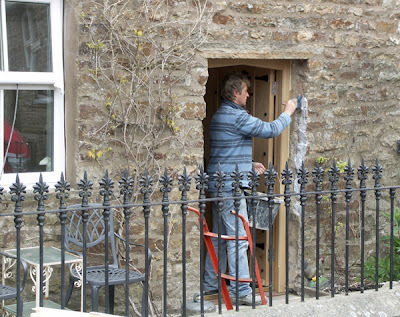 Chris Peacock, a local builder from Carperby, works on the exterior door. 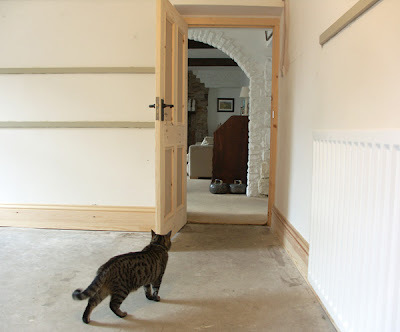 There's progress inside too, and Tabs seems puzzled by the changes to home! 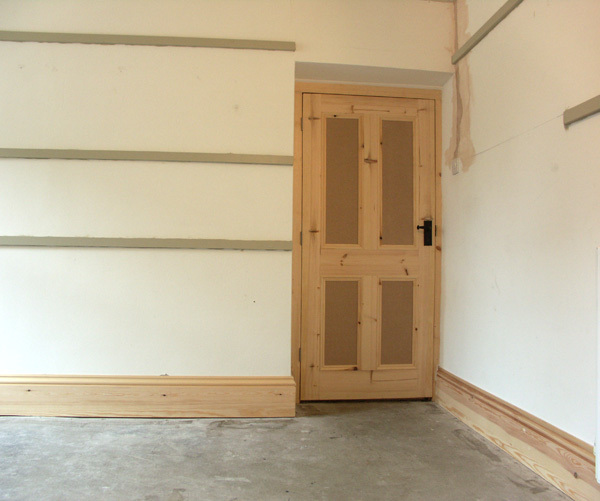 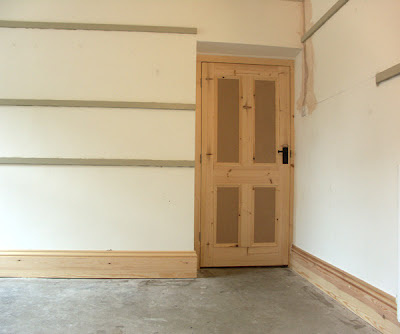 The new interior door was built by joiner and cabinet-maker Dave Bushby of Hawes. 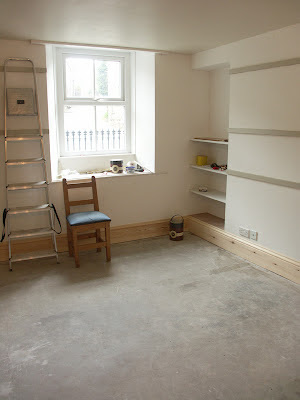 Almost ready to begin painting the walls. Then the lighting has to go in, and the floor laid.